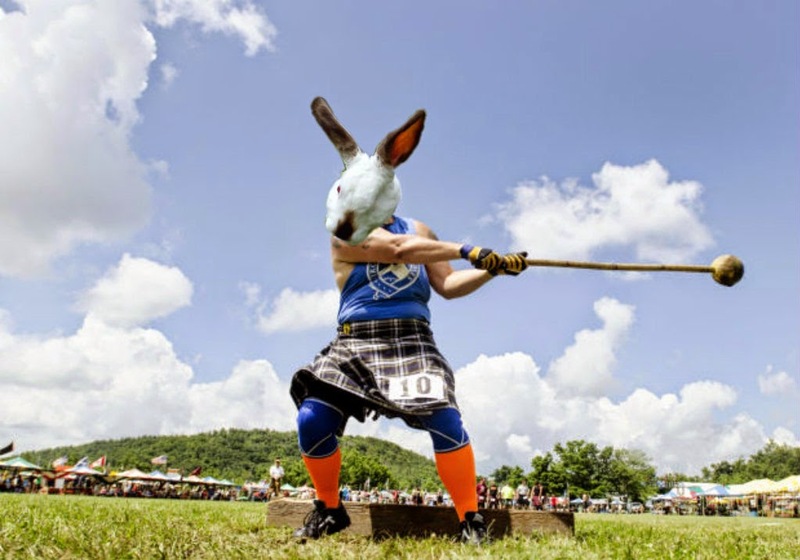 Speedy the cheeky house bunny: Welcome to the Highland Games Castle Gathering For Kyla! 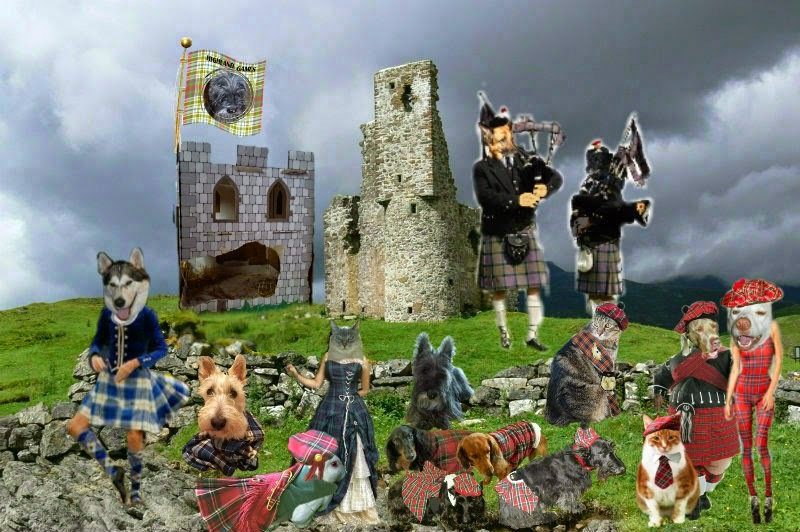 Welcome to the Highland Games Castle Gathering For Kyla! Misaki and Daisy,Easy and Myself! 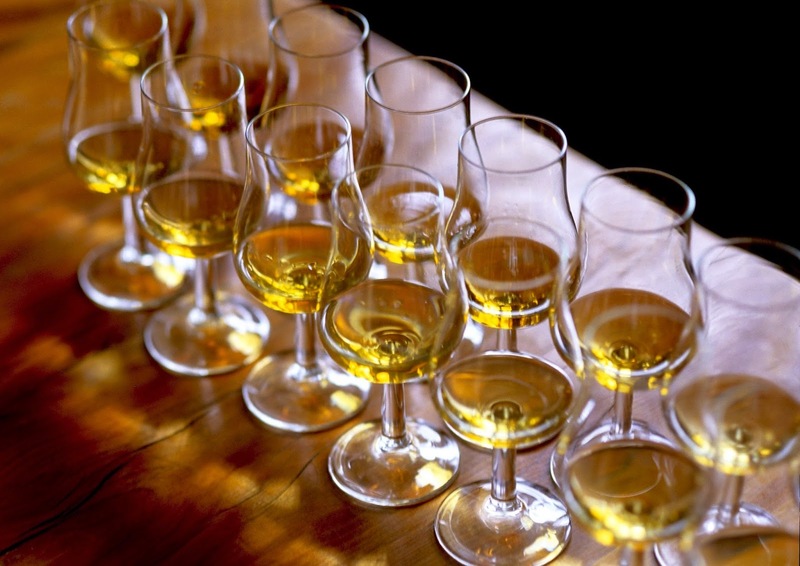 Today is The Highland Games Party in Blogville For Kyla and This is my Castle Gathering in her honor!Grab yourselves a Wee dram or two of Whiskey and Join us in the Party for a Dance! And many more so Hop on Over to Mollies to See the Rest.Thanks for Joining Us! The Rest of the events!! Ruby's Green Bean Margaritas Bar! Hi it is Madi and I'm pleased to meet you. You are one athletic bunny!! Did you notice my stuff bunny Spring was refereeing me in Arooooo Ball. Oh the music - I am kicking up my paws and I am doing the Highland Fling! Speedy I didn't know you were hosting anything, sorry. Your name was not on the list in the emails I got. We are so enjoying the games Speedy. We all will be needing some aspirin tomorrow. Have a marvellous Monday. Go Speedy Go, Go Sppedy Go! I've having so much fun at the games Speedy! It looks haunted. I don't know if I should go into the castle. Oh well, I'll get my courage up. Wow what a great pawty, Speedy. You put on a good display in all your events Speedy. It's a good job you remembered to dress under your kilt for the caber tossing or you would have put on even more of a display. This castle gathering was just what I needed for a good "warming up"! Thank you so much Speedy for having such a nice gathering! Wonderful spirits too! You did pawsome today at the games! Whut ya doin' wearin' knickers under yer kilt? Don'tcha know ya is supposed to go commando!?! Speedy aren't deze Gamez just pawsum?? N yer pawty iz da bestest! Me had a wee dram (or 2) n did sum HiLand Dancin n it waz so much fun!!! Whew we iz gonna sleep guud tonite!!! Lub ya Speedy! Ya rocked da Gamez!!! Great castle, Speedy! Our paws are sore from all the dancing. Might take us a few days to recover from all the festivities. You are one busy bunn - and bunn family! BOL!!!! Look at you!!! You look great!!!! It was so nice to meet you Speedy! We love the idea of a house bunny!! 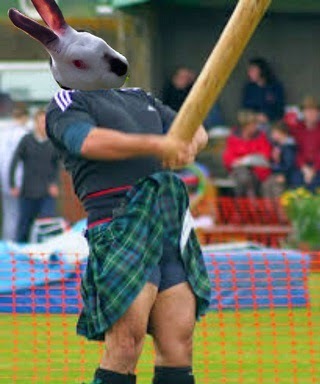 We did not know bunnies are so strong! We are so impressed with your skills. Speedy, I love that little pink outfit at the top!!! 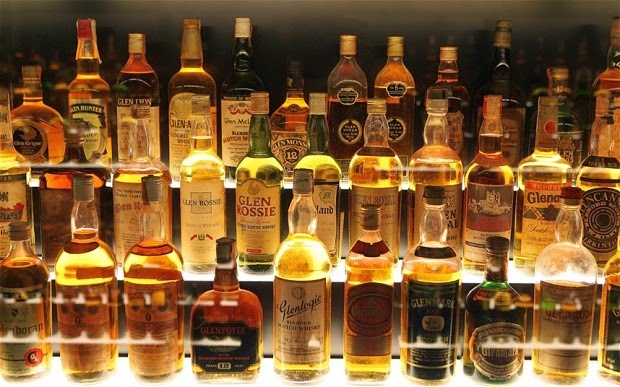 I think I may have to pass on the whiskey though LOL I don't handle that stuff too well. OMG I AM SO LATE! But to see Speedy the Scot and also see him out there on the field dancing like a good Scot with kilt and all, oh what a JOY! I am smiling from bunny ear to bunny ear right now! 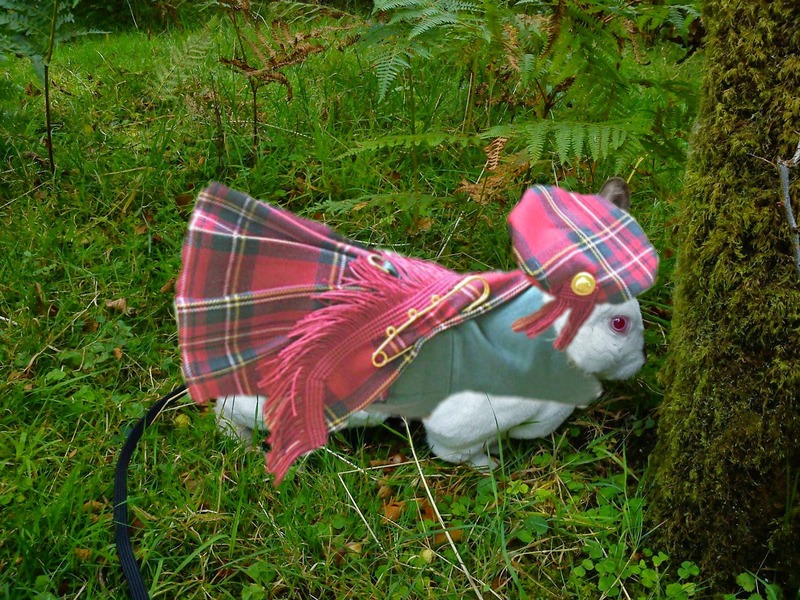 Speedy the Scot...you are just TOO TOO CUTE! (Rachel, you are genius) Thank you for this wonderful moment of fun before I go off into the world of peeps to stress out at the job....grrrrr...I want to play with Speedy! 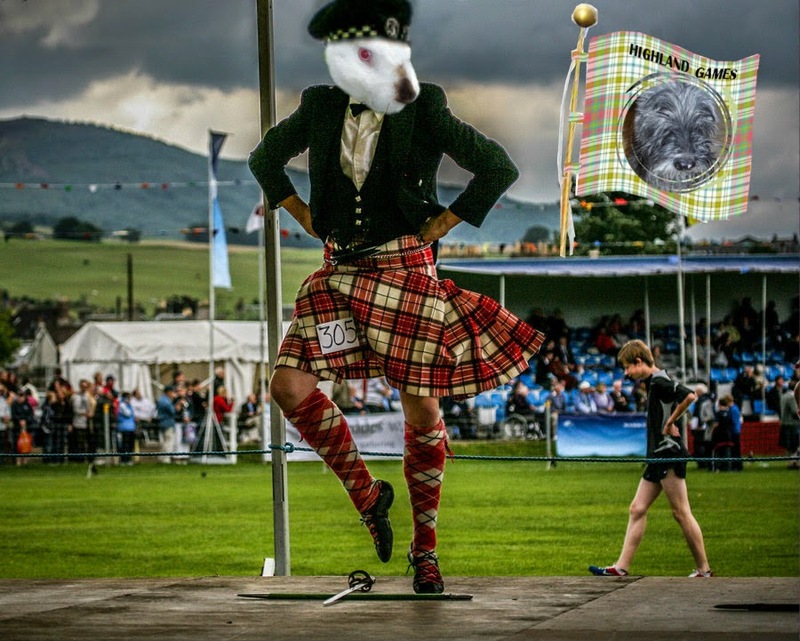 I love the Scottish Highlands and i love the Scottish dancing bunny! This post was amazing! Speedy, we didn't know you were SO strong! Speedy the scott I like your outfit. Seems that you had fun.